Taipei, Taiwan – April, 30, 2008 – TUL Corporation – a leading manufacturer of AMD graphics cards today announces the availability of the special edition PowerColor HD3870 DDR3 PCS with free football. The combination of the virtual world gaming with the real world playing. 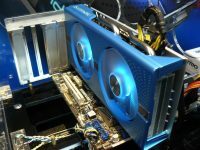 The special edition PowerColor HD3870 DDR3 PCS is the latest card in the highly awarded PCS family (Professional Cooling Series) and comes fully packed with the powerful R670 GPU running at 775Mhz, cooled by high performance cooler with temperature controlled fan for the most quiet operation, super fast -1ns DDR3 memory boosting technologies such as Microsoft® DirectX® 10.1, UVD, CrossFireX, PCI Express® 2.0 and built-in HDMI. 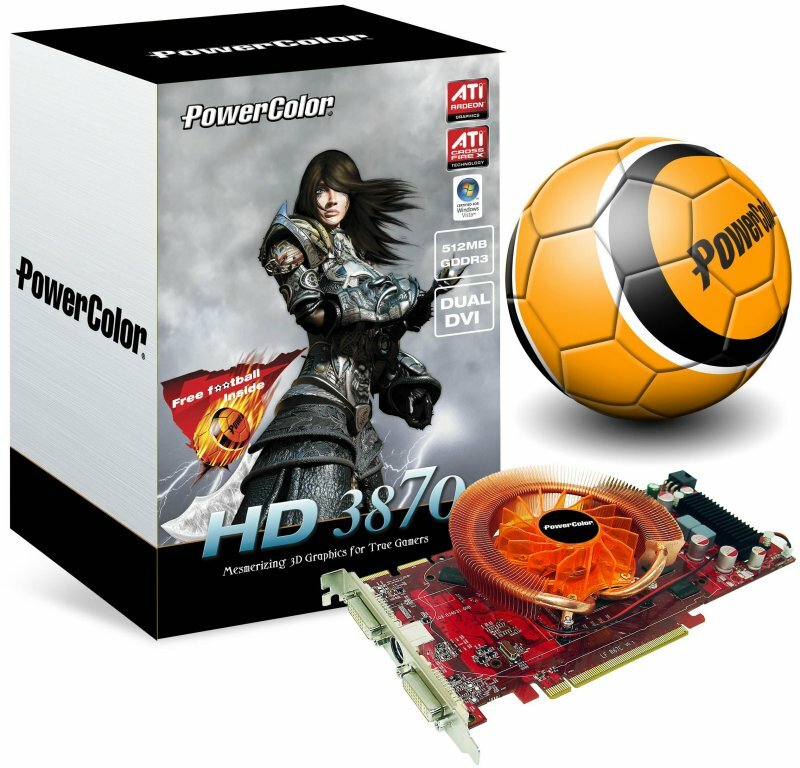 To kick off this release, the PowerColor Freestyle worldwide competition will start today where gamers can prove they are also players with their football skills and earn prizes by recording a video of their football abilities and submit it online.